ACDA membership consists of choral directors who represent more than one million singers across the United States. ACDA members teach choral music in public and private schools – kindergarten through senior high school – and at the college and university levels. They conduct a variety of choral groups, including boychoirs, children’s choirs, men’s and women’s choruses, junior and senior high school choirs, college and university choruses, ethnic choirs, vocal-jazz ensembles, and symphony choruses. They also conduct choirs in their communities and in their places of worship. Membership is established by submitting a membership application and annual dues. 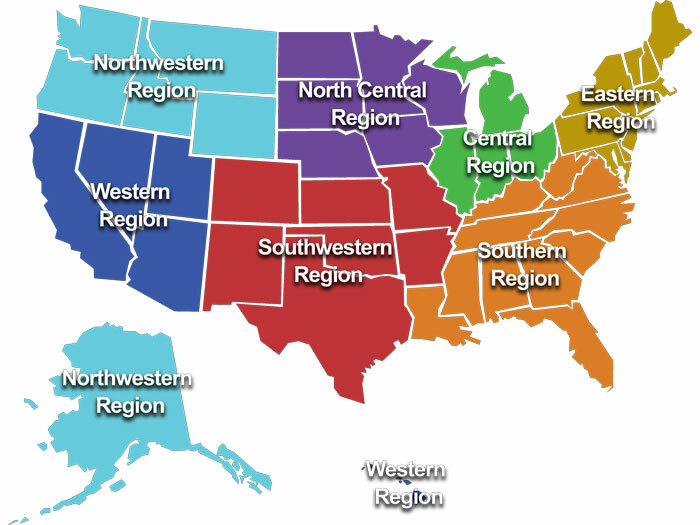 ACDA is divided into seven geographic regions/divisions, as well as fifty state chapters, each with its own conferences, newsletters, festivals, clinics, and workshops. Whether at the National, Division, or State level, ACDA is structured so that its members can easily involve themselves in the organization’s activities. ACDA offers conferences at the state, division, and national levels. National conferences are offered in March of odd-numbered years; the seven division conferences take place in February and March of even-numbered years. Through concert performances by accomplished choirs, educational clinics by leading experts, and exhibits by music-industry representatives, ACDA offers its members a diverse and practical forum in which to develop their skills and professional knowledge. ACDA establishes and maintains the highest of choral standards and recommends quality choral literature through the Repertoire and Resources (R&R) Committees. This national structure is the foundation for growth in every Division and State chapter through the organization. ACDA is committed to the field of research as applied to choral music and publishes monographs and a composer series in both traditional and digital formats. The committee therefore manages several ongoing projects that both support and generate research and publications. ACDA has several publications including Choral Journal, ChorTeach, International Journal of Research in Choral Singing (IJRCS), division newsletters, state newsletters, and the monograph series. To foster and promote choral singing, which will provide artistic, cultural, and spiritual experiences for the participants. To foster and promote the finest types of choral music to make these experiences possible. To foster and encourage rehearsal procedures conducive to attaining the highest possible level of musicianship and artistic performance. To foster and promote the organization and development of choral groups of all types in schools and colleges. To foster and promote the development of choral music in the church and synagogue. To foster and promote the organization and development of choral societies in cities and communities. To foster and promote understanding of choral music as an important medium of contemporary artistic expression. To foster and promote significant research in the field of choral music. To foster and encourage choral composition of superior quality. Whereas the human spirit is elevated to a broader understanding of itself through study and performance in the aesthetic arts; and Whereas serious cutbacks in funding and support have steadily eroded state institutions and their programs throughout the country; Be it resolved that all citizens of the United States of America actively voice affirmative and collective support for necessary funding at the local, state, and national levels of education and government to ensure the survival of arts programs for this and future generations.